The NSSF Shooting Hunting and Outdoor Trades (SHOT) Show features more than 1,600 exhibitors that cover 630,000 net square feet of exhibit space. 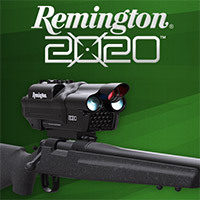 That’s over 14 acres, making SHOT Show the largest trade show of its kind in the world and the fifth largest trade show in Las Vegas, the SHOT Show. With so much to see in just four days, navigating the show aisles can be challenging, but it doesn’t have to be. 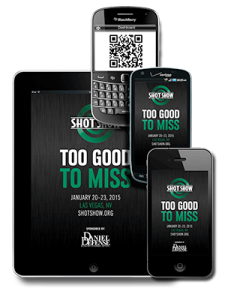 The SHOT Show mobile app is an invaluable tool for helping to navigate the show. Not only does the app allow attendees to make a to-do list of exhibitors that they want to visit, it also allows them to create a schedule to better manage their time, add notes about exhibitors, and view the New Product Showcase. The app can also save you the trouble of carrying around an armload of exhibitor lists and maps since it also includes a full show program featuring show floor maps and event schedules. Users can also plot a direct route from their current location on the show floor to an exhibitor’s booth – no more wandering around bumping into people while you try to figure out where you are, orient your map and navigate the aisles. On top of all that, the SHOT mobile app keeps you up to date with what new products are creating a buzz by plugging you in to show related social media feeds like Facebook, Twitter, and the SHOT Show blog. The 2015 SHOT Show exhibits are open January 20-23 at the Sands Expo Center. 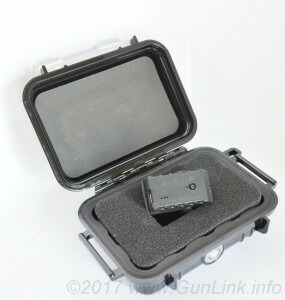 If you will be attending, be sure to check in on the GunLink 2015 SHOT Show Thread and then head over to shotmobile.com to download the app. And don’t forget to share your good finds from the show floor on the GunLink Forums. If you can’t make it to the show, you can also request coverage of specific products or product categories there. There has been buzz among the firearms community for some time now regarding 3D printing, rapid prototyping technology and how it can be used to produce firearms. Much of the fervor was stemmed by the Wiki-Weapon project. The Bureau of Alcohol, Tobacco, Firearms and Explosives (BATFE) led a multi-agency working group testing the use of 3-D printing technology in the making of firearms. The test, focusing on the Liberator design, resulted in several videos which were posted to the ATFHQ YouTube Channel.